Gain an understanding of how events and cultural influences affected their daily lives. View your family in context of the impactful historical events that filled their thoughts and conversations. Explore where your ancestor lived in relation to local and national events of historic significance. In the screen shot below, you get a peek at the dynamics built into HistoryLines. Note the timeline with the light burgandy color shows when William was born and when he died, while relevant historical events are superimposed on the timeline above. Each item "Jacobite Uprisings" and such are clickable, meaning you'd then see a pop-up window with additional information about that event. The GPS coordinate for William's birthplace, Sheffield, England is indicated on the embedded Google Map. One may personalize an ancestor's story with photos and additional events. KEEP AN EYE on HistoryLines.com. 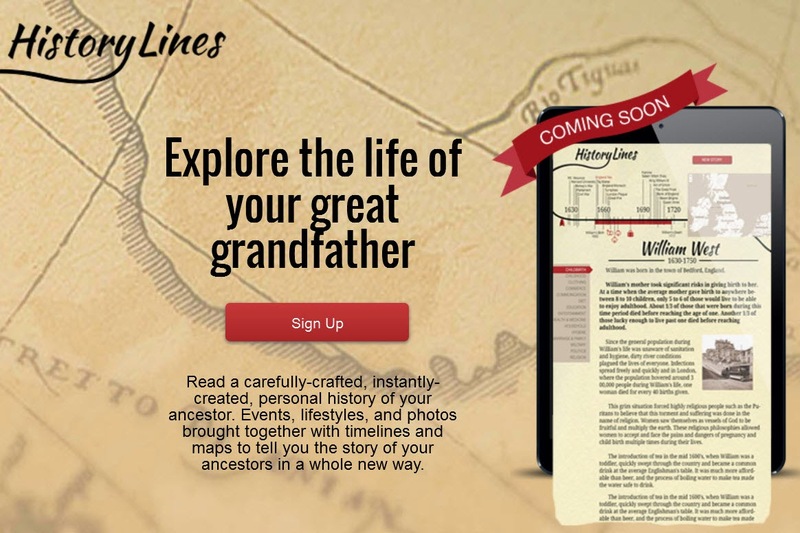 It's sure to provide an easy way for you to tell the story of your ancestors! 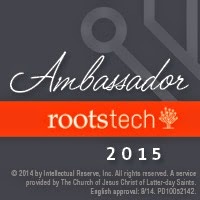 I'll be looking for them at RootsTech2015. Wow! I am launching a genealogy club with my students this week and social history is definitely a topic I want to hit with them. This will be a great website to help them make the connection from what we discover to events they are studying in class! Thanks for sharing! I'm very intrigued by History Lines. I'll be on the lookout for it. How neat! Thanks for sharing information on this great resource.